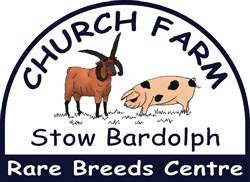 Church Farm is in Stow Bardolph, just off the A10, North of Downham Market, 10 miles South of King’s Lynn and 15 miles North of Ely. We are served by the Norfolk Green Bus Company, Bus route 37 (King’s Lynn to Southery). To see their timetable go to www.norfolkgreen.co.uk, or ring 01553 776980, or send an enquiry e-mail to enquiries@norfolkgreen.co.uk Church Farm is a 2 minute walk from where the bus stops on the A10.